Finely chop the chocolate (the smaller pieces the faster they melt) and place it into a heat proof bowl. In a sauce pan, bring cream to a boil & pour it over the chocolate. Let it sit for 2 minutes before stirring until completely smooth. Cover with cling film and place in the fridge for at least 2-3 hours. The chocolate needs to be firm enough so you can work with it. Form bite size balls using your hands (scoop each out with a melon scooper or a spoon). If you feel that the chocolate mix (ganache) is too sticky, place it back in the fridge for longer. Once you have rolled all the balls, chill it in the fridge until firm. Meanwhile prepare the chocolate for coating: Bring the cream to a boil and pour it over finely chopped chocolate. Make sure the chocolate is in a heat proof bowl. Let it sit for 2 minutes before stirring until smooth. Let the chocolate cool down a bit before coating the truffles. To coat them simply dip them in the chocolate and take out using a fork or a spoon. Place them on a baking paper (make sure you have a chopping board or a tray underneath). Once done, put them in the fridge until completely set. 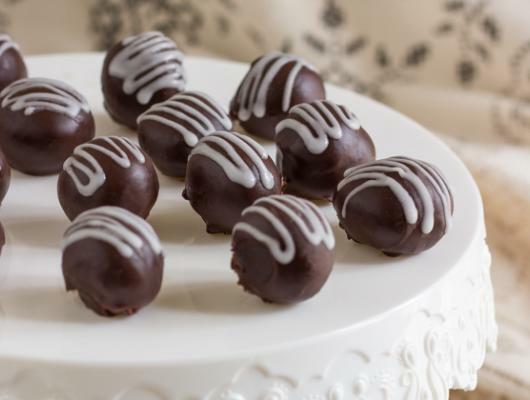 The post 2 Ingredient Dark Chocolate Truffles appeared first on HappyFoods Tube. 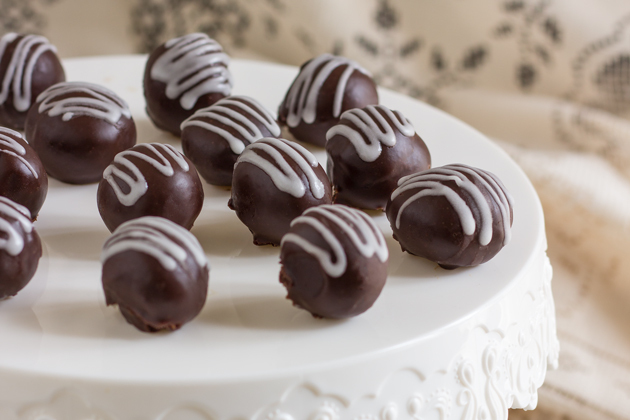 These simple 2 ingredient dark chocolate truffles are rich, creamy and so tasty. Make them for Christmas, New Year’s Eve party or gift them!